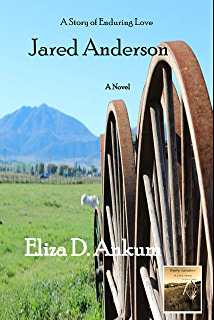 Jared Anderson, born the only son of a wealthy slave-holding plantation owner and Ruby Sanders the daughter of a slave fell in love against the turbulent backdrop of the Civil War and never got to speak those words to one another. But what happens when a true an everlasting love is denied? In the third novel of the series, ‘The Ruby and Jared Saga’, that question is answered. Ruby Sanders Williams is an out of work financial reporter who thinks that by scoring the most coveted story of the year she can redeem herself and get her job back after a very public and disastrous breakup with her boyfriend, Derek, who also happened to be her boss. Ruby is determined to find out why Jared Anderson, a multi-millionaire married to one of the most celebrated beauties in the world, walked away from the company built by his great, great, great, great grandfather, Jared Anderson, on land stolen from Ruby’s family. Can Ruby find out why Jared walked away from Crawford and Anderson Mining while solving the mystery of her family’s stolen land? Living a lonely guarded life, with his son, Lucas, can Jared learn to love and trust again? Will he allow Ruby into his inner circle? And what, after all these years, has he planned for the man who betrayed him? Will these two star-crossed lovers, resurrected from a time long ago, finally find a true and lasting love with each other? Ruby and Jared - A Novel by elizabooks aka Eliza D. Ankum is licensed under a Creative Commons Attribution-NonCommercial 4.0 International License. Based on a work at https://rubyandjared.wordpress.com/.